South Koreans struggle to comprehend a 1980 uprising and the violence that follows. 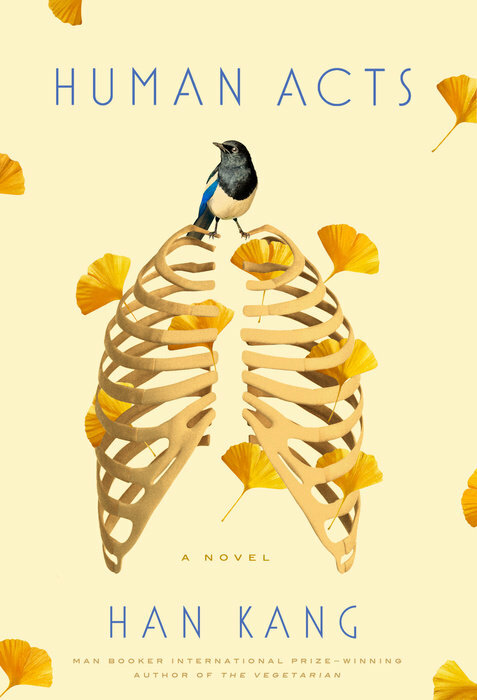 Human Acts is the second novel by Han Kang (The Vegetarian) to be translated into English. An introduction by translator Deborah Smith provides valuable context for this meandering book, which uses a dreamy atmosphere to explore the violence of a 1980 student uprising in South Korea. Kang approaches the horrifying events of the Gwangju uprising obliquely. She doesn’t shy away from the shocking details–indeed, the novel opens with a young boy taking a brief respite from his work cleaning and caring for an overflow of unidentified dead bodies in a converted government office. But instead of spotlighting this violence, Kang focuses on the lives of individuals, beginning with Dong-ho, the boy caring for the dead, and then rotating through the views of those around him. First-, second- and third-person perspectives reinforce the feeling of circling the center of this event. After Dong-ho, the reader meets his best friend, shot dead in the streets; the two young women he works with; and his grieving mother. In a state of massive unrest, violence and terror, these characters appear dazed. Others look back over the decades that follow, including an editor wearily battling censorship and former prisoners struggling with old trauma. This range of voices, their sense of shock and unreality, along with the title, explore the possibilities of humanity: human acts can be variously brave, selfish, gentle and cruel. Human Acts is a remarkable novel, at once lyrical, dreamlike and horrific. Smith’s succinct introduction is an excellent aid in understanding both Kang’s message and her artistry. This review originally ran in the February 3, 2017 issue of Shelf Awareness for Readers. To subscribe, click here, and you’ll receive two issues per week of book reviews and other bookish news.